There is no way that a company can even begin to think about going public until it has all of its documentation sorted. Formation documents, accounting files, financial statements, board minutes, securities instruments, employment information, intellectual and real property records, and the many other documents outlined in this due diligence checklist must be prepared, analyzed, organized, and uploaded into a central data room. There are a lot more rules and regulations for public companies, so it is crucial to be fully prepared to present anything that is requested and to be able to do so quickly. Uploading and organizing this information in a secure data room well in advance will facilitate the entire IPO process. Get your copy of The Due Diligence Checklist. Click here to download now. Even if an internal member of the team has accounting experience or an outside professional handles these matters for the company, it is highly likely that an independent firm will need to audit the company's financial information. As a result, the CFO should look into finding a firm that can provide this service in a timeframe and at a price point that will work for the company. Depending on the age and complexity of the company, this can be rather tedious, so this has to happen fairly early on in the process. Everyone loves to hate lawyers, but they play a critical role in a number of business transactions, and especially during an IPO. Companies want to ensure that they retain a law firm with ample experience in securities matters. It cannot be stressed enough how important it is to ensure that every single step of the process is done exactly by the book, otherwise any attempted shortcuts may come back to haunt you. Ideally, a team of attorneys will guide your company through the situation seamlessly. 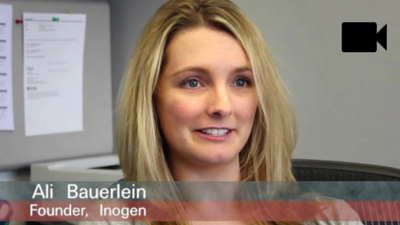 Inogen's CFO, Ali Bauerlein, on her experience with her first IPO. Watch Now. CFOs and the rest of the leadership team need to do their own due diligence on any potential partners. The investment bank will basically oversee the IPO process, so it is imperative to know as much as possible about the firm and its team of analysts. In addition to ensuring that the selected firm understands your business and the pertinent industry, you need to ensure that they have the requisite experience in conducting an IPO. Plus, everyone on your leadership team will be dealing with everyone on their deal team and will be doing so quite a lot over quite some time. For this reason, it is wise to choose a team with whom you will get along so that personality clashes and different work approaches do not derail progress. There are going to be a lot of numbers thrown around throughout the IPO process, and understanding all of those numbers generally falls on the shoulders of the CFO. Therefore, CFOs should actively review pertinent information in an ongoing manner, so that they are not caught off guard when asked about something specific. Granted, this will seem like an intense game of memory, not to mention quite a few on-the-spot, verbal math tests, but it is all part of the process.